I’ve always had an unhealthy obsession with freshly squeezed orange juice, the real kind, not the tropicana you can buy in supermarkets. The 100% freshly squeezed orange juice. It never made me popular with my dentist though, who informed me that the natural sugars in the orange juice were eroding my teeth and, sadly, he limited me to one glass a day. It probably is, in part, one of the reasons I’m diabetic today. But not all fruit has to cause decaying teeth. Fruit is naturally high in sugar and, when I was diagnosed as being diabetic, I was unsure as to how I could manage to have my five-a-day without being able to eat fruit. It may seem like a simple concept, but provided you’re not drinking 2 litres of freshly squeezed orange juice a day, you can still have fruit. So here you have it. 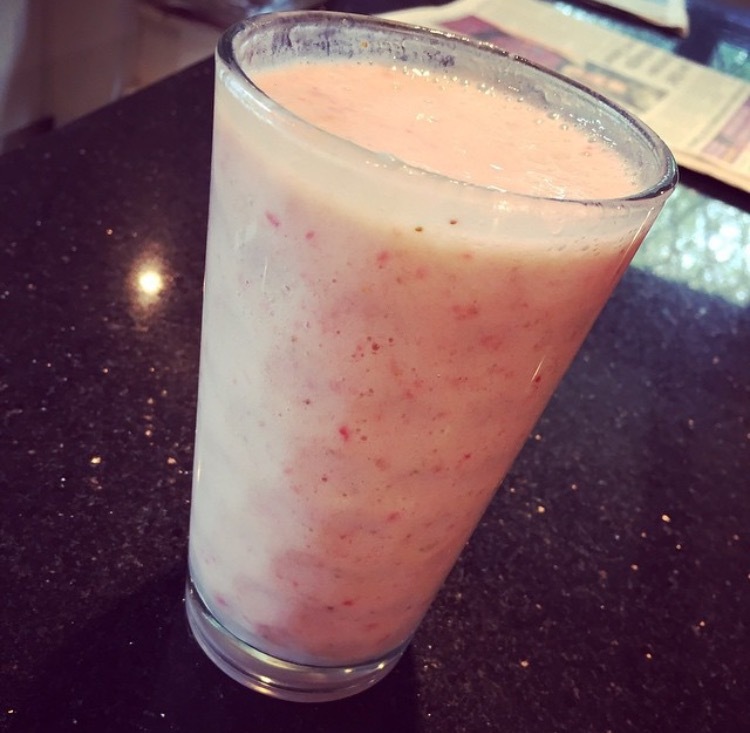 A recipe for fruit smoothies from “Quick cooking for diabetics” available here. Place all the ingredients in a food processor or blender and blend until smooth. I’ve always used skimmed milk in my recipes as, I believe, skimmed lacto-free milk (yes, I am lactose intolerant) tastes just like regular semi-skimmed so why not try it?